Viv with Kaitlin, a model at Hey Viv ! Welcome to Hey Viv ! my name is Viv and I have always loved clothing, dressing up and putting outfits together. As a kid, I started thrift shopping with my Dad and in 1986 opened my first Hey Viv ! store in Staten Island. My store carried my favorite vintage styles like 40s padded shoulders, 50s circle skirts and 60s bell bottoms. My customers gave me lots of ideas on how to expand my inventory. In 1999 I took Hey Viv ! online and developed my own line of Hey Viv ! retro inspired clothing based on what my customers bought and commented on. My designs take classic vintage styles and update them to today’s sizing and includes basics that you can mix and match with your current wardrobe. Our skirts and tops can be styled into outfits for a special occasion, work, a musical, or photo shoot. You can show off your curves with a pencil skirt or add a touch of sweet innocence with a peter pan blouse. It’s hard to believe that it’s been 30 years! I love costuming a show, drawing up designs and talking to my customers. Let me know what you're looking for and have fun shopping. Thank you for supporting a US based small business. 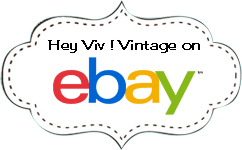 "Vintage Charm for your Modern Style" at Hey Viv ! Sock Hop Clothing - Hey Viv! ® poodle skirts, circle skirts, crinolines, and peter pan blouses along with sheer chiffon scarves and poodle socks are quality made in the USA. Fun to wear for a 50's party, 50's plays or musicals like Grease and Bye Bye Birdie. You'll find great prices, selection & quick shipping. 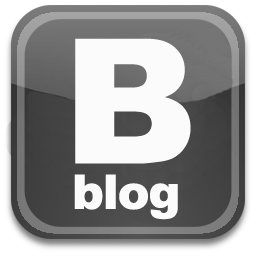 We're a resource for schools and theater groups. Discounts are available. Retro Clothing - Hey Viv! ® retro styles include pencil, flare, and circle skirts, cardigans, blouses, hats and accessories. We carry a curated collection by Sourpuss, Voodoo Vixen, Hell Bunny, Heart of Haute, and Scala.